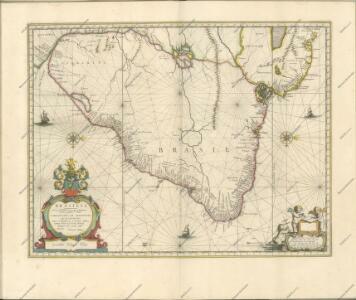 General chart of the coasts of Brasil, &c. from the River Para to Buenos-Ayres. Brazil With Guiana & Paraguay. Composite: Brazil, Paraguay, and Uruguay. 227-228. South America, East. The World Atlas. 1 : 14256000 Tanner, Henry S.
1 : 17000000 Lea, I. 1 : 12900000 Colton, G.W. Brazil, Argentine Republic, Paraguay And Uruguay.